For a novella, this book was jam packed with lovey dovey goodness. I want to know more about Callie and Stefan. I need to read some prequels about what brought them to this point and what happens next. This author really has a way of grabbing your attention and making you care about the characters. Kathryn. 29. Leo. Law school graduate. In posession of a loudly ticking but heavily ignored biological clock. Moderate to slightly liberal independent leaning Democrat. (mouthful?) Job seeker. Girlfriend. Lover. Ranter. Lover of politics, irritated by the outcomes. Music fanatic. Lover of the creamy crack. Follow Me Around the Web!! 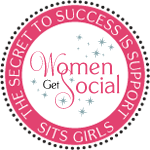 Divas With A Purpose - Speak It...Live It... Be It!